PATRICK Dangerfield has added another award to his long list of 2016 individual accolades, claiming his first 'Carji' Greeves Medal in his maiden season at Geelong. The superstar midfielder became just the fifth Cat to win the Brownlow-Carji double in the same season. The Geelong best and fairest follows on from the Malcolm Blight Medal he won in his final year at Adelaide in 2015. 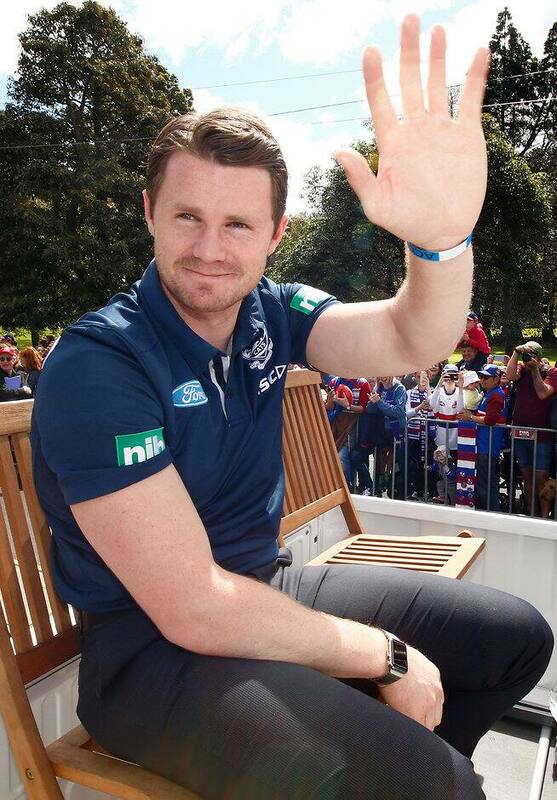 Dangerfield was named as the Cats' best in eight of his 24 games, polling 253 votes to beat out skipper and All Australian teammate Joel Selwood (238). "It's incredible and it's a proud moment for me," Dangerfield said upon accepting the award. "It's been a whirlwind 12 months but what an incredible football club to play for. "The most important thing when you move from one club to another is that you want to endear yourself to your teammates and I tried to learn the Geelong way as quickly as possible." Retiring champion Corey Enright, who earned his sixth All Australian selection in his 17th and final season, rounded out the podium (234.5). After leading at the halfway mark, Cameron Guthrie achieved the highest placing of his six-year career (following his fifth-place finish last season) and came fourth. Vice-captain Harry Taylor's consistent season was rewarded with fifth place. Dangerfield, who polled a record 35 votes to win this year's Brownlow, took the lead from Guthrie in round 13 and was never headed from there. The superstar recruit helped lead Geelong from 11 wins and a 10th-place finish in 2015 to 17 wins and second on the ladder at the end of the 2016 home and away season. Dangerfield averaged 31.8 disposals and 6.6 clearances per game in 2016, leading the AFL in inside 50s and ranking second in the League in total possessions. Along with the Brownlow and Carji, the 26-year-old also won the AFLPA's Most Valuable Player award and was the AFLCA's Player of the Year. Selwood earned a top three finish for the fifth time in the past six seasons after a year in which he earned his fifth All Australian selection. Enright closed out his career with another top-three finish and departs the club as Geelong's games record holder with 332 matches to his name. After each game the senior coach, director of coaching and assistant coaches rate each player in the team's performance out of 15. The combined votes are then averaged to give a final score for that game. To ensure players aren't disadvantaged by injuries or being managed, each player's highest scoring 21 games of the season are added together to give a final score for 2016. Therefore, if a player plays 24 games, his lowest-scoring three games will be eliminated from the total.